Admiralty Arch is a landmark building in London which incorporates an archway providing road and pedestrian access between The Mall, which extends to the South-West, and Trafalgar Square to the North-East. 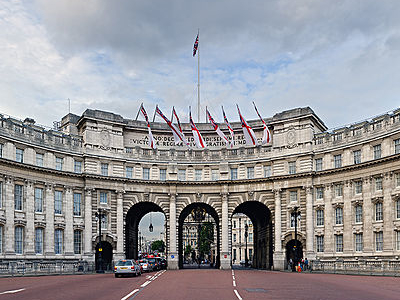 Admiralty Arch is a Grade I listed building. Until recently, the building housed government offices, but in 2012 the government sold a 125-year lease over the building to a property developer for redevelopment into a luxury hotel. Here's the our members favorite photos of "Key Buildings near City of Westminster". 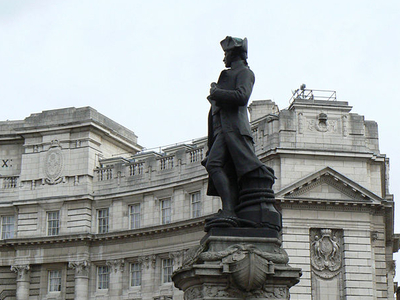 Upload your photo of Admiralty Arch! 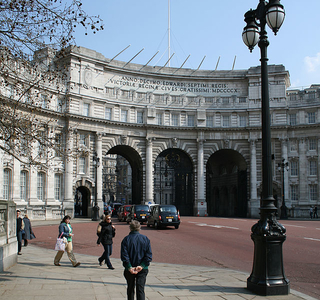 Beata Hargitai is the only Touristlink member to visit Admiralty Arch. Have you been here? Click here to save it.